Have You Been Injured Due to Negligent Security in The Bronx? When you bring your case to our New York City law firm, you will always work with a named partner. 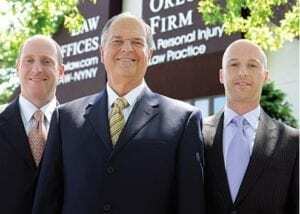 We believe you should expect nothing less from the firm who handles your injury case. Contact us today to speak with an experienced Bronx negligent security attorney. Call (646) 647-3398 or contact us online. Have you or a loved one suffered a serious personal injury due to negligent security? If so, contact our Bronx negligent security attorneys online for information regarding your legal rights. We offer free initial consultations, and our cases are handled on a contingent fee basis. This means that we charge attorney fees only when we obtain compensation for our clients.